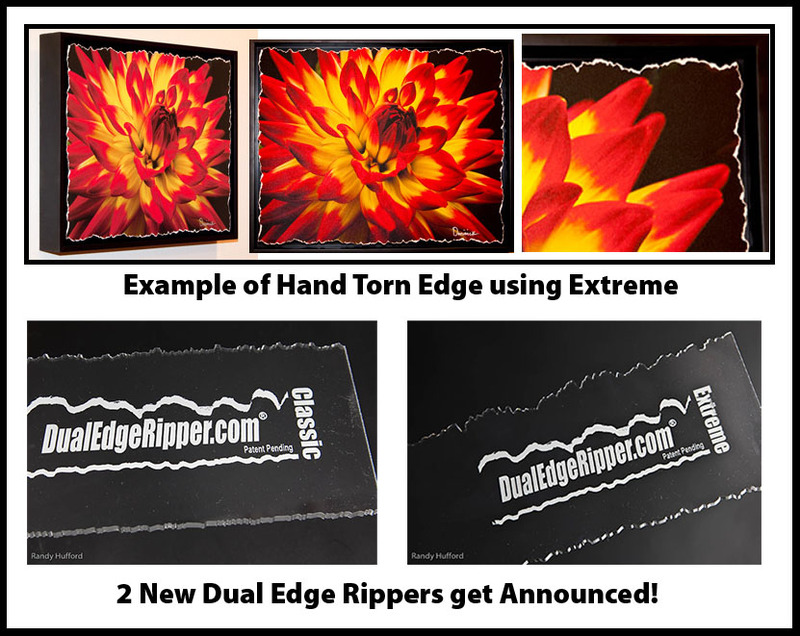 Wednesday November 18 2009 in LA at Buffalo Imaging trade show, Dual Edge Ripper announced 2 new versions of the Ripper. This tool is used to add a Hand Torn or deckle edge to photos and fine art prints. Really cool tool and check out the new edges that are even sharper than before.